Notice how it is black with like a shadow? That is no shadow, that is how it looks. Split rock for water. It is the only place you can find water erosion in the desert and its coming from the split. Place of the red sea crossing, with the 1 of the 2 pilar stones erected by Solomon. The other is right scross the sea. Chariot wheel at the bottom of the sea at the crossing. It really couldn't be in the northern Sinai peninsula because that land at that time was part of Egypt.Egypt controlled nearly all the Sinai peninsula at that time. Scripture clearly states that they didn't go North but, went into the wilderness outside of Egypt. If Egypt controlled the whole of the north than they could have only went south, through the wilderness. The "way of the land of the Philistines" was the northern trade route, so God led them "through the way of the wilderness of the Red sea" which was through the Sinai peninsula. You only get the northern route when you dont use the Bible as the guide book. When you follow the directions from the Bible itself you get the actual directions through the Sinai interior. Its evident in Exo 14:3 For Pharaoh will say of the children of Israel, They are entangled in the land, the wilderness hath shut them in. They would only be "entangled" in the interior passage, because the route goes through a lot of canyons. You do not find this on the northern route nor the very southern route. And the canyons opens up onto the only plain big enough to hold the entire Hebrew nation right on the coast of the Red Sea, right where theirs a land bridge going across. The crossing point was marked later by 2 stone pillars. One on each side. I recently watched a few videos on the Mt. Sinai discovery in Saudi Arabia by Ron Wyatt. Thought I'd look to see what we have on the topic and updated this thread title. Mark, are these the pictures you took yourself? According to the Biblical narrative, the Israelites fled the Egyptian army when Moses parted the Red Sea, with the waters later closing up again upon their pursuers. They are said to have later arrived at Mount Sinai, where Moses received the Ten Commandments from God, and ended up settling in what is now Israel. The mainstream scholarly consensus is that there is no archaeological evidence for the Exodus, and that the Bible represents the reflection of the Jewish people on their origins rather than details a specific moment in history. Late last year, his foundation released a documentary titled 'Finding the Mountain of Moses', which cited "undeniable archaeological evidence" of its presumed real location in Saudi Arabia. Moses’ flight from Pharaoh as he led his people out of slavery in the search for the Promised Land builds up the basis of the Christian Bible’s second book Exodus. Doubting Thomas Research Foundation (DTRF) experts believe they may have traced the most authentic route – taking the Israelites from Egypt to Saudi Arabia. The group - who have made three trips to Saudi Arabia searching for the Exodus route in the Middle East - believe they have compiled some of the most compelling evidence of the Exodus. DTRF researcher Ryan Mauro hailed their findings as "mind blowing" when speaking to Daily Star Online. 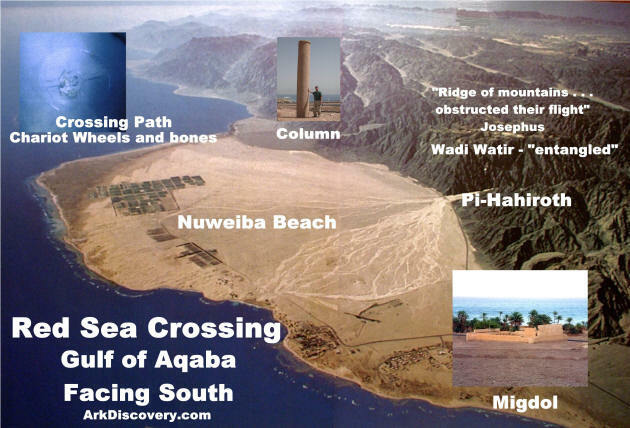 Mount Sinai is the core of the groups' discoveries, which they claim is actually the peak of Jabal al-Lawz in eastern Saudi Arabia, that in Biblical times would have been the land of Midian. Traditional academics have often challenge or dismissed the historical accuracy of the Exodus, but Mauro urged sceptics to "keep an open mind" and said "all the pieces fit". Mauro and the team lay out their findings in Finding the Mountain of Moses: The Real Mount Sinai in Saudi Arabia - a 25 minute documentary avaliable on YouTube. Mount Sinai is where Moses was handed the Ten Commandments by God on stone tablets, according to the Bible, and is at the core of the Exodus. Tracing the route of Moses’ journey as he fled from the Pharoah across the Red Sea are the first pieces of the puzzle. Mauro concedes work is ongoing into piecing together the Exodus route, but he shared with Daily Star Online what they believe is the most “plausible”. It shows Israelites leaving the heartland of the kingdom of the Pharaohs around Cairo - before crossing an area of desert known as the Sinai Peninsula. Many scholars consider this to likely be the location of Mount Sinai, but for Mauro and the DTRF this is only the start of the journey of Moses. Mauro told Daily Star Online: “What I found there was simply mind-blowing. I couldn’t believe that there was all this evidence for the Exodus and hardly anyone outside this region was aware of it. that our work is going to seriously shift the landscape on this subject. Biblical accounts detail how after Moses convinced Pharaoh to let his people - the three million Israelites - go using the Twelve Plagues of Egypt, he then led them into the wilderness. The Stations of the Exodus are 42 locations mentioned in the Bible which were visited by the Israelites after they left Egypt, the first of these being Succoth. Mauro said the DTRF are currently trying to piece together an exact timeline and map structure for this first part of the Exodus. They pick up the story however as they believe there is evidence for the Gulf of Aqaba, separate the Sinai Peninsula from modern Saudi Arabia, is the location of the Red Sea Crossing. It is believed the location is the beach of Nuweiba, where the crossing would just be 8 miles wide and a shallow depth of just 33 metres. It is here where Moses is said to have parted the waters with help from God, allowing the Israelites to cross safely as waves then came crashing down on the army of Pharaoh that pursued them out of Egypt. From this crossing point, Mauro and the DTRF believe Moses came across Mount Sinai, which is actually the 8,460ft high Jabal al-Lawz - also known as the Mountain of Almonds. Moses is said to have spotted the mountain ringed by fire as they approached, before ascending it to speak with God. And also near this site, Mauro believe they have identified the Rock of Horeb - which is said to be Israelites final camp before moving onto Mount Sinai. Biblical account tells the story of how Moses struck a rock, causing it to split and have water gushing forth from the split to quench the first of the struggling population. Mauro says they have found a large, seemingly water eroded rock, sitting on a hill and split in to nearby to Jabal al-Lawz. Evidence for Jabal al-Lawz itself being Mount Sinai includes inscriptions of what appear to be cows on the site, which matches up with the Biblical story of the idol of the Golden Calf. Ancient rock structures at the foot of the mountain which may be the remains of the altars built by the Isrealites. Jabal al-Lawz also appears to have a blackened peak, which would match the story of Moses meeting God as he descended upon the mountain in a fire. It is however unclear if this blackening of the peak may be a natural phenomena, as opposed to the rocks being scorched by holy fire. And there is also further evidence of a camp at the base of the mountain, including a large ancient graveyard which would appear to match the massacre of the worshippers of the Golden Calf. “There’s a reason why this tradition has been passed down in the three major world religions of Christianity, Judaism, and Islam. “Perhaps these sceptics have doubted the historical account of the Exodus story because of a lack of evidence at the traditional site at St. Catherine’s, but what we have found appears to fit the ancient accounts. 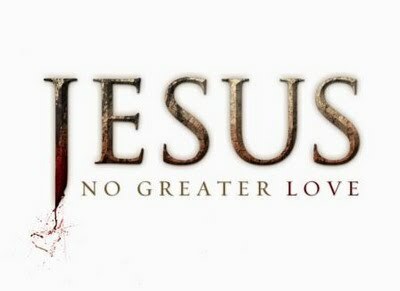 “The golden calf, the split rock, Moses’ altar, the Red Sea crossing site; all of these pieces need to fit, and they fit at this site in a way that no other site does. “These events really did happen. It doesn’t require belief in one of these faiths to accept the evidence. “We don’t necessarily believe in the same deities as the ancient Egyptians, Babylonians, and Assyrians did, but we still accept the evidence that these peoples existed and that there were major events during their respective existences. Historians, archaeologists and Egyptologists have the consensus that the Exodus event did not happen as described in the Bible. There has never been any proof that the Israelites were enslaved in Ancient Egypt – and it is questioned if the figure of Moses ever existed. Jabal al Lawz has also previously been suggested as a candidate for the original Mount Sinai, and this claim been criticised by other historians.